Grandma Suzanne and Patricia arrived for a visit to spend some time with Cameron, Chris and Jane. They brought Cam some adorable puppets to play with. The ladies had fun and were a bit surprised by our warm weather, considering they live in Arizona! Social gatherings are definitely a favorite of Cameron's, especially in the summer. The Raisch girls joined the family for a picnic. Emma and Cam had a sticker contest, trying to get the most stickers on their clothes. It may have been a tie! The weekend included a cookout with the Wordens and friends. 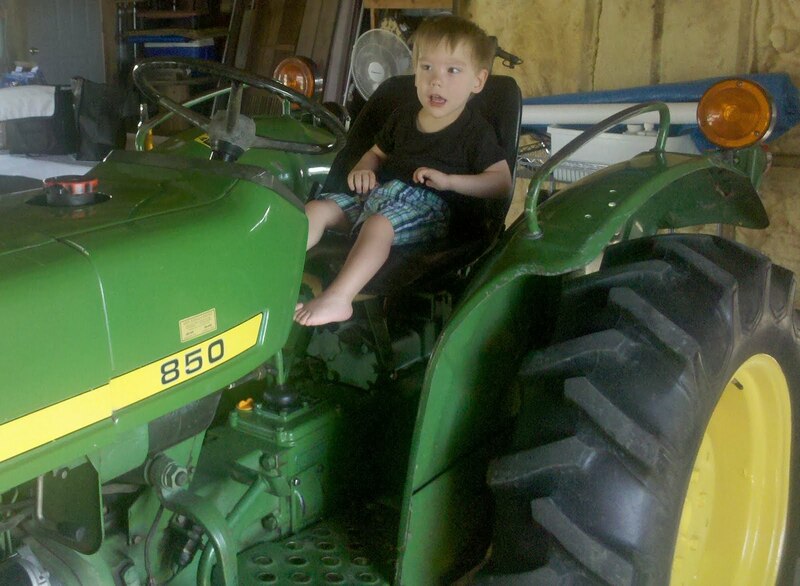 Although the big John Deere tractor in their barn looked intimidating, Chris placed Cam right in th e seat and he really liked it! 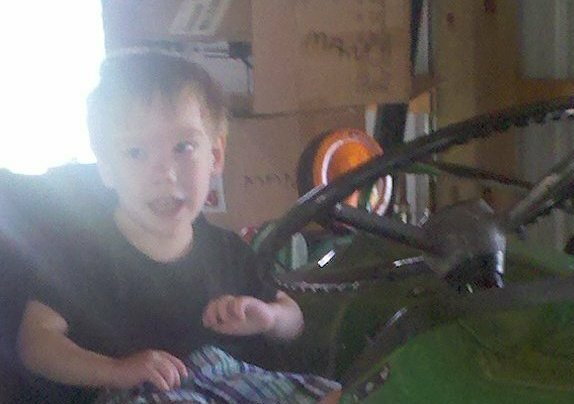 The tractor did remain in the barn sinc e Cameron doesn't have his driver's license yet. After a fun-filled weekend, Cam is getting ready to head back to school next week after a two-week hiatus. Let's hope he's just as excited heading back to his classmates and teachers as he has been about all of his extra activities!